Find the right heat pump for your needs. A heat pump can cool a room as well as heat it, allowing you to use it as an air conditioner. We analysed the performance data of virtually every heat pump on the market and developed a step-by-step guide to help you choose the right model for your home. We’ve also got all the hottest tips on the most effective ways to use them. Snapshot: The Carrier 42FHV026/38FHV026 is a 3.1kW floor mounted heat pump. How efficient is it at heating your home? Snapshot: The Carrier 42FHV067/38FHV067 is a 7.5kW floor or ceiling mounted heat pump. How efficient is it at heating your home? Snapshot: The Carrier 42FHV076/38FHV076 is a 9.4kW floor or ceiling mounted heat pump. How efficient is it at heating your home? Snapshot: The Carrier 42QHC020/38QHC020 is a 2.8kW high wall heat pump. How efficient is it at heating your home? Snapshot: The Carrier 42QHC035/38QHC035 is a 3.7kW high wall heat pump. How efficient is it at heating your home? Snapshot: The Carrier 42QHC055/38QHC055 is a 6.3kW high wall heat pump. How efficient is it at heating your home? Snapshot: The Carrier 42QHF092/38QHF092 is a 9.8kW high wall heat pump. How efficient is it at heating your home? Snapshot: The Carrier 42QHF102/38QHF102 is a 10.3kW high wall heat pump. How efficient is it at heating your home? Snapshot: The Haier ABH071H1ERG / 1UH071N1ERG is a 7.8kW ceiling cassette heat pump. How efficient is it at heating your home? 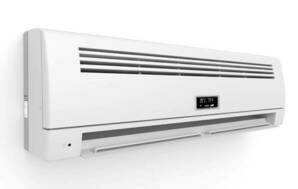 Snapshot: The Haier ABH090H1ERG / 1UH090N1ERG is a 10.1kW ceiling cassette heat pump. How efficient is it at heating your home? Snapshot: The Haier ABH105H1ERG / 1UH105N1ERG is a 10.6kW ceiling cassette heat pump. How efficient is it at heating your home? Snapshot: The Haier ABH125K1ERG / 1UH125P1ERG is a 13.1kW ceiling cassette heat pump. How efficient is it at heating your home? Snapshot: The Haier ABH125K1ERG / 1UH125P1ERK is a 13.1kW ceiling cassette heat pump. How efficient is it at heating your home? Heat pumps are basically space heaters. They provide convenient, efficient, thermostatically-controlled heating that can be set to come on and off at different times. The smaller versions are designed for a single room; the larger, for a whole house. It takes 10 to 30 minutes to bring a room up to temperature, after which the level will be maintained within 1 or 2 degrees. A heat pump works by extracting heat from the air outside your house and bringing it indoors. It's like a refrigerator in reverse. By trying to cool the world it can extract heat, or vice versa. Use an old-style bicycle pump for a while and it will get hot. That's because gas (air) is being compressed. Spray an aerosol can and the valve area will become cold. That's because the compressed gas in the aerosol can is expanding. Heat pumps (like refrigerators) have a system of pipes containing gas (refrigerant) that is continuously expanding in one part of the system and compressing in another. When the gas is being compressed, it gets hot. 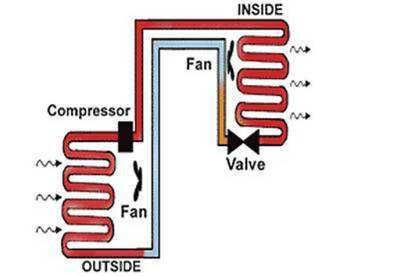 A heat pump's exterior unit compresses the gas, then pumps it to the interior unit where the gas runs over a series of finned coils, giving off its heat. The gas is then returned to the outside unit, where it expands and runs through another set of finned coils, which become cold. The cold gas is then recompressed and the cycle continues. For summer cooling, the refrigerant flow is reversed, so the interior unit becomes cool, while the exterior cold. Heat pumps shift more heat than the electrical energy consumed in compressing the refrigerant and running the fans, making them highly-efficient methods of heating – up to 3 times as much in the right conditions. This has a major influence on heat-pump performance and as most manufacturers use the same one (R-410A, which itself is a mixture of another 2 refrigerants R-125 and R-32), there are limits to the performance gains they can achieve. It also means there are relatively small performance differences across different models with a similar heat output. Fujitsu's new model range (“E” series) uses solely R-32. The company claims this refrigerant increases heat-pump performance over R-410A-filled models. R-32 requires new interconnecting-pipe-termination techniques and installers are required to undertake an industry training conversion course. We expect other manufacturers will also introduce R-32 models. Is a heat pump the same as a ventilation system? No. A heat pump uses refrigeration principles to shift relatively large amounts of heat in or out of your home to warm or cool it. A domestic ventilation system shifts drier air from the ceiling space into the living space, and is designed to reduce condensation. Before you begin choosing a size, style or model of heat pump, you need to consider their pros, cons and cost-effectiveness. Heat pumps can provide a level of all-round comfort not easily obtained by plug-in electric heaters. They can quickly bring a room up to temperature and then maintain it. If you install a heat pump and keep your home about as warm as you do now, you could save a considerable amount in heating costs. But some of our members with heat pumps tell us they use their units to keep their homes warmer than before, so their heating bills haven't dropped by much. If you install a gas heater, you'll have to pay a gas connection charge (often around $40 per month) all year round, for a heating appliance you use for less than a whole year. A reverse-cycle heat pump is the only type of home heating system that can both heat and cool a room. Yes … in cooling mode, the cooled air can’t hold as much water so the water condenses out of the air inside the heat pump and is drained away. Yes … in dehumidifying (“dry”) mode, the heat pump alternates between cooling and heating modes to keep the room at an approximately constant temperature. Water is extracted during the cooling part of this cycle. No … in heating mode, the heat pump doesn’t remove water from the air. However, because warm air can hold more water than cool air, the “relative humidity” decreases as the heat pump raises the air temperature. So the warmer air feels drier. Many modern heat pumps incorporate a washable filter unit that removes dust and particles from the air. This could be an important feature for people with asthma and allergies. The filters need regular cleaning to keep the unit working at maximum efficiency. Some have a deodorising function as well. A heat pump installation may also add to your home's resale value. Whirring fans can be very annoying. Fans run in both the interior and exterior units all the time they are switched on. The fan in the inside unit of a heat pump should produce little more than a low hum in low-speed mode, but the compressor plus fan of the outside unit can be quite noisy. Check the manufacturer's specifications. Also, consider the impact on neighbours if the outdoor unit must be mounted near their sleeping areas. Our 2009 member survey found noise was more likely to be an issue with older heat pumps – 15 percent of those bought before 2004 made enough noise to be "mildly disturbing". This fell to 7 percent for models less than 2 years old. Extracting heat from outdoor air gets more difficult as the temperature drops. Sometimes, especially on frosty nights, exterior heat pump units freeze up and have to stop working for several minutes while they defrost. If you live in a frosty area see "What are your needs" for more about this problem. Overall, 8% of members in our 2017 appliance reliability survey said their heat pump had not performed adequately on cold, frosty mornings. Circulating air can cause draughts – which means you need to think about where to place the unit. You don't want one on the wall just above your favourite armchair. We've created a step-by-step guide to finding the right heat pump for you. Single-split air-to-air models are the most common type of heat pump in New Zealand. These consist of a single outdoor unit (the compressor) connected to an indoor unit via a system of pipes. They’re designed to heat one room, not your whole home, and you may require multiple units if you have more than one living area. But there’s many other heat pump technologies out there, including multi-split (where one outdoor unit serves several indoor units), ducted (where a large centralised compressor sends hot air via ducting throughout the home) and air-to-water systems where a heat pump is used in lieu of an electric water cylinder. There are also ground-source heat pumps, which use heat from the earth rather than from the air. These systems remain a niche market, so our round-up only includes single-split air-to-air models. We asked our members about their heat pumps to find out which brand is most reliable. Over the past few years, New Zealanders have taken to heat pumps like ducks to water, and they’re now our third most common heating choice after woodburners and plug-in electric heaters. But a report last year by the Building Research Association of New Zealand (BRANZ) found it hasn’t all been plain sailing. Control your heat pump with your smartphone or tablet. Returning to a home that’s set to the perfect temperature is pure bliss. Heat pumps let you do this, but many have remote controls that are over-complicated, putting the use of timers into the too-hard basket for many of us. 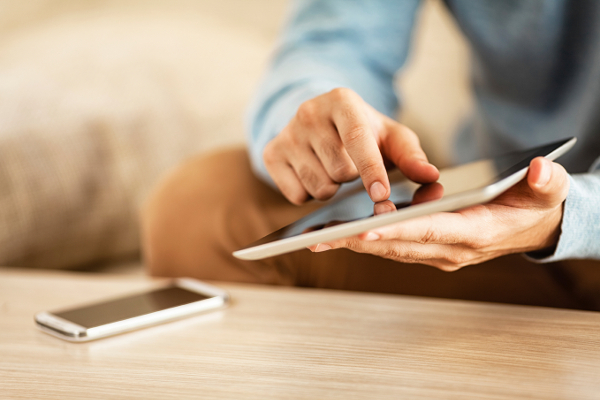 A solution is a heat pump with WiFi, which shifts control to an app on your smartphone or tablet. Simplifies the often confusing remote layout into a user-friendly interface. Timers are easy to set. 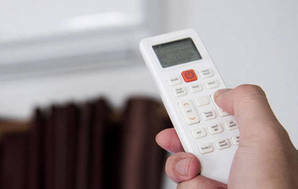 Eliminates the need for pointing the remote in just the right spot to get things working. You can control multiple heat pumps in your home from one app. You can control your heat pump remotely, so you can override timers or turn it off if you left it running. Your data could be made available for marketing and sales analysis, so check the terms and conditions carefully. Some WiFi controllers require line-of-sight to operate the heat pump. Think about where it might go and whether you have a power point to spare. Most brands only offer WiFi as a paid extra. We recommend trying a few brands, as each has their own flavour of WiFi control. Some controllers are built into the heat pump, while others are plug-in units. You should ask for a demonstration and have a go using it. We've also trialled two WiFi heat pump controllers - the Pebble and Sensibo Sky. To get the best value for money, look for a heat pump system with good star ratings. A system with more stars will give you more heating or cooling energy per unit of electricity than one with fewer stars. These cooling and heating star ratings tell you how efficient a heat pump is. 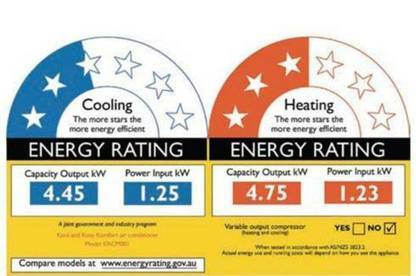 These cooling and heating star ratings tell you how efficient a heat pump is. More efficient models get more stars and are cheaper to run. While six stars used to be the pinnacle of efficiency, four bonus stars have been added to account for super-efficient models, making a maximum of ten. Thus far, only one model in our heat pump comparison database has attained more than six stars. The COP is a technical calculation of heating efficiency which is used in the formula for calculating star ratings. For heating, a good unit has a COP of 3 or more. The heating COP can be reduced by cold temperatures because de-icing takes extra energy. This is the calculated cooling efficiency, and is also used to calculate the star rating. The higher the rating, or the more stars, the better. An EER of 3 or more is good. All heat-pump/air-conditioner units imported or manufactured after 16 June 2006 must meet a new Minimum Energy Performance Standard or MEPS. But these minimums are set quite low, particularly for larger units. MEPS has little relevance to your buying decision – it's there to make sure manufacturers don't sell unacceptably inefficient heat pumps to unsuspecting consumers. We answer your frequently asked questions about heat pump performance and heat pump corrosion. We’ve crunched the numbers and awarded Mitsubishi Electric our Top Brand award for heat pumps. Consumers can be confident a brand touting this award has delivered top results both in the lab and in our surveys. Tip: Beware of cold-calling, high-pressure outfits that try to bulldoze their way on to your property. See our October 2014 news article for more on this.